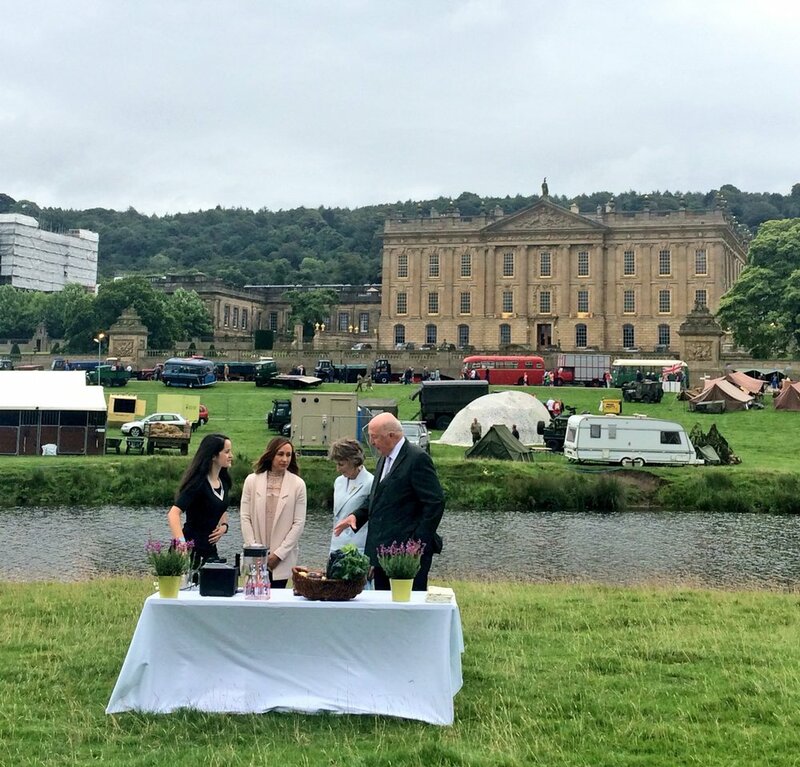 The Chatsworth Country Fair took place between the 2nd and 4th of September in the grounds of the Chatsworth Estate. The show is the biggest of its kinds in the Midlands with an array of attractions, including demonstrations, competitions, fly pasts and shopping, keeping even the most discerning visitor entertained. 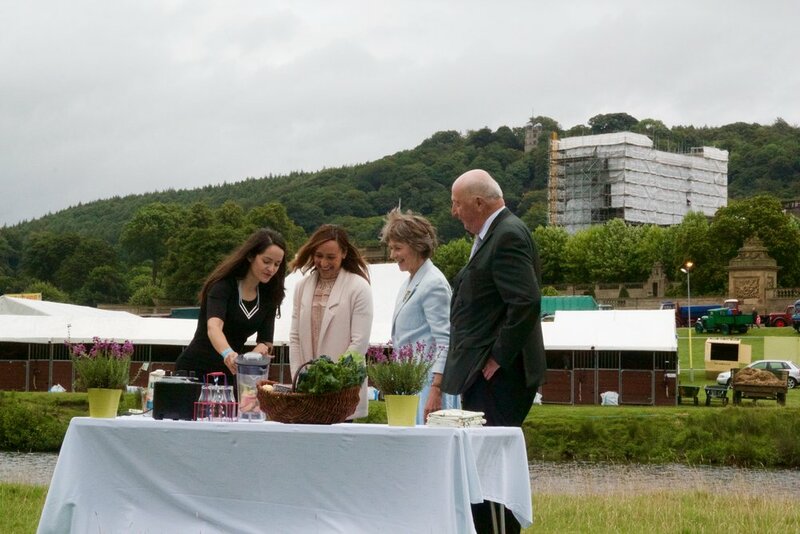 This year, Jessica Ennis was the appointed show president, opening and closing the event, which 90,000 visitors attended over 3 days. 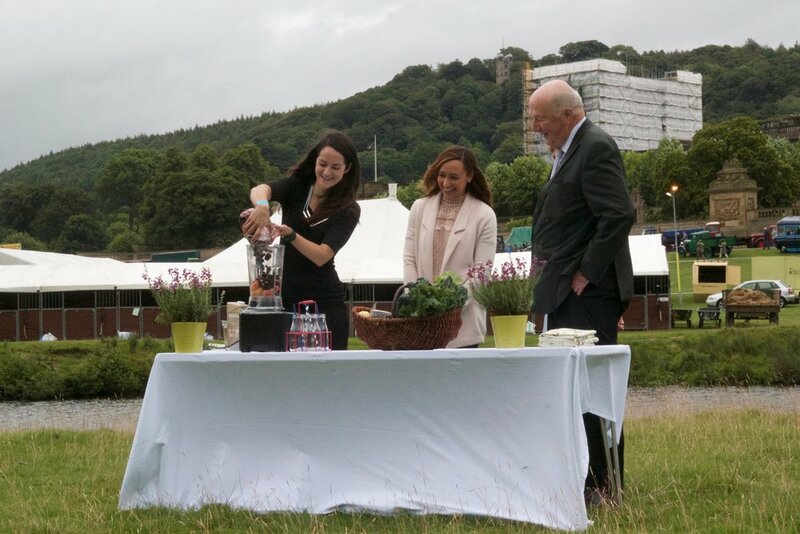 My weekend at the Chatsworth Country Fair began on Friday morning when I had the honour of making the Duke and Duchess of Devonshire and Jessica Ennis-Hill a nutrient-dense smoothie. Inspired by the British countryside, the smoothie was a reflection of the best, in season, produce. 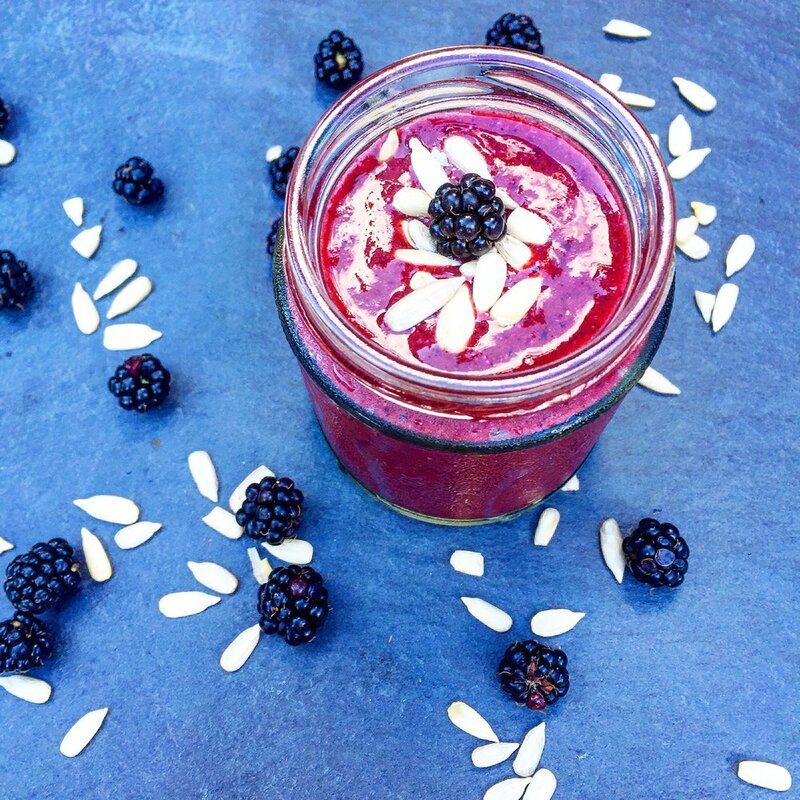 Blackberries, blueberries, chard, apple, sunflower seeds and oat milk combined to make a delicious drink that is especially beneficial for the skin. To my delight, everyone present enjoyed the taste. 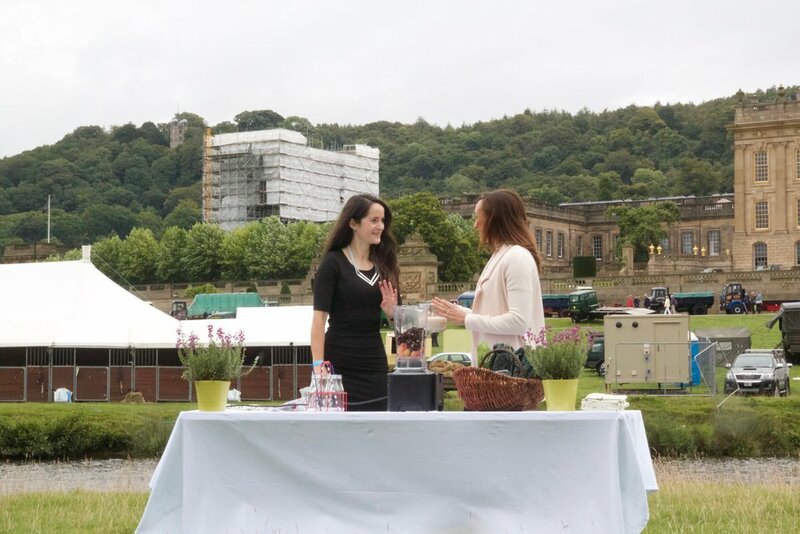 The smoothie was made for the press event, taking in the view of the beautiful Chatsworth House. I also had the pleasure of carrying out two food demos in the cookery theatre, one demo on the Friday and one on the Saturday. The atmosphere was fantastic both in the demo theatre and backstage. As a nutritionist, I firmly believe that we miss key nutrients from our diets. Consequently, both dishes I cooked at the show focused on adding antioxidants, vitamins and minerals but without compromising taste or wasting too much time. Head over to my Instagram page for more pictures and some back stage shots from the event. Last Friday, I had the pleasure of appearing on the 6:30 show at Notts TV. The 30-minute show is a discussion of local topics with guest appearances from Nottingham based professionals. I spoke about nutrition (of course). Chia seeds, baobab and coconut nectar are added to small pot of yogurt to upgrade it. The resulting snack is thick, creamy and comforting whilst being full of goodness.